Elsie Faye (Hanson) Gabe, age 99, entered into rest on July 24, 2018 at Hilltop Lodge in Beloit, KS. Elsie was born on May 26, 1919 to Albert and Elsie (McElroy) Hanson. Her mother died when she was giving birth. Elsie’s grandparents William F. and Samantha McElroy took on the responsibility and raiser her until she was thirteen years of age and then she moved back in with her father. From the time Elsie was a baby she was given the nickname of “Babe” and to this day most of her family and friends knew her as “Babe”. Randall High School in 1938. After graduation Elsie stayed at home helping out on the farm. She liked to dance and met Eddie at a dance and that was the beginning of the courtship. She married her true love on June 4, 1941 and spent 41 delightful years together before his death in 1982. To this union they were blessed with one son, Randall Edwin Gabe. Due to her husband being in the service they lived in Cheyenne, Wyoming, and Olympia, Washington. While in Washington they traveled to Canada and went sightseeing. In Cheyenne she remembers working for a high ranking officer taking care of the house and their two children. She became very fond of the children and hated to leave them when the time came to move to California. For the next 23 years they lived in Santa Ana, CA where her husband worked as a butcher. They made several trips back to Kansas to see their relatives and friends. One of Elsie’s favorite things to do in California was to go to the beach and go sunbathing. After losing her husband she took up residence in Jewell, KS. She started working at the Girls’ Industrial School and worked there for fifteen years. After retiring from there she did a lot of traveling with a travel group from Concordia. Lots of her travel was in southern parts of the U.S.A. but has been to Chicago. Elsie attended the Salem United Methodist Church in Jewell until the church closed. 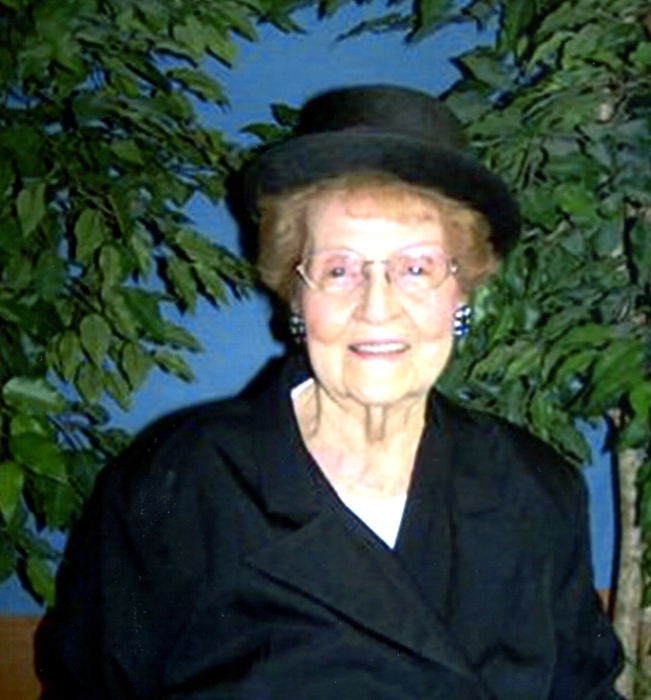 Elsie then started attending the Jewell Christian Church as an active member. For those that knew Elsie she had a great passion to cook and you could always expect a lovely meal when visiting with her. For sure you never went away hungry. She had another passion as well and that was enjoying taking care of her flower garden outside. She always had a beautiful array of flowers in her front yard and could name each plant if asked. Preceding her in death her husband Edwin Gabe, June 6, 1982, and her parents Albert and Elsie Hanson, grandparents William F. and Samantha McElroy and many other relatives. Her surviving relatives are son, Randall (Marcia) Gabe. Hospice, Hilltop Lodge or the Randall Cemetery. Burial will be at the Randall Cemetery.